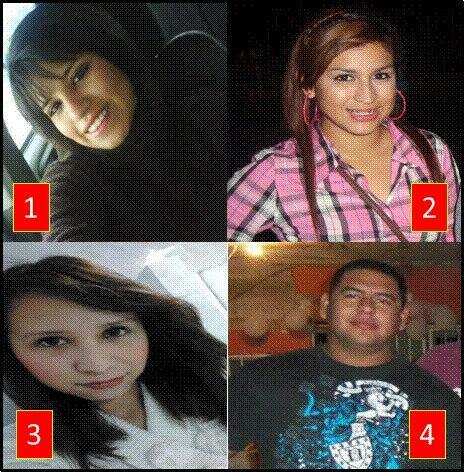 Urgent: We demand that the four students from the University of Coahuila who are currently missing are found alive! Through social networks and the media we have heard of the disappearance of four students from the School of Accounting and Administration of the Autonomous University of Coahuila (UAC) on Thursday April 11th, 2013 in the city of Monclova, Coahuila. United Forces for Our Disappeared in Coahuila (FUUNDEC) and the Diocesan Centre for Human Rights Fray Juan de Larios demand that these students, Cecilia Picazo, Marlyn Peña, Cynthia Rivera and Carlos Nuñez are found alive and safe. Press release FUUNDEC. FUUNDEC’s bimonthly meeting with federal and state authorities. After recognition of list of more than 27 thousand disappearances during the past six years, we finally have taken the first steps necessary to begin solving the humanitarian tragedy that means one of the most painful passages in the national history: recognizing the magnitude of the situation. In the first quarter of this year, FUUNDEC/FUNDEM and supporting organizations held meetings directly with the Secretary of the Interior, the Attorney General, human rights commissions of the Senate and Chamber of Deputies, the Federal National Police and various national and international bodies, in order to bring national attention to the fate and whereabouts of the disappeared. In the latter event, the authorities agreed on the criteria to address all disappearances. Also, there is a commitment to organize an International Forum on Disappearances in Mexico organized by FUUNDEC/FUNDEM and the Government of the State of Coahuila, on June 5, 6 and 7, 2013 in Law School of the University of Coahuila. Additionally, following a request from FUUNDEC, the Governor and his cabinet witnessed the development of the investigations, in which the Public Prosecution Office informed the families of the current status of their case. Thus, policy makers of Coahuila, listened with attention and respect in circumstances of extreme pain to understand the shortcomings of the search for the disappeared. We acknowledge the attention paid by these authorities. The Governor and his cabinet are now fully informed of the facts. This dialogue has not occurred in other states in our knowledge. The responsibility of the state government of Coahuila therefore is to promote with their counterparts in the National Commission of State Governors the need to have a comprehensive approach to disappearances with the federal government in order to have coordinated actions nationwide. The road is long, but these authorities are taking the first steps. Families are in a hurry to find their relatives. They also demand state actions determined by the consensus of the families with substantive results. On Thursday 14 March, 2013, representatives of Mexican civil society organizations, including Ana Luna of the legal Area of CADHAC, participated in two hearings in the 147 ° session of the Inter-American Commission of Human rights (IACHR) in Washington, D.C.. The first, requested by the Mexican State was on the “Priorities in the field of human rights and legislative harmonization in Mexico”; and second, requested by organizations of civil society was on the “Challenges in the field of human rights in Mexico”. At both hearings, the Mexican Government delegation was headed by the Undersecretary of Legal Affairs and Human rights, Lia Limon. Are you leaving with a clear conscience?